LOGAN – Last minute shoppers can save some time by having their gifts wrapped at the CAPSA gift wrapping fundraiser located in the Cache Valley Mall. The gift wrapping booth is in the mall near JCPenney and will be open until 6 pm on Christmas Eve. Fees are small, ranging from two to eight dollars depending on the size of the present being wrapped. All money raised goes to the Community Abuse Prevention Services Agency or CAPSA. CAPSA provides free and confidential services for victims of domestic violence and sexual assault. This fundraiser has occurred at the mall for the past 15 years and the mall donates the space to CAPSA. Different organizations and groups volunteer their time to wrap the gifts. John Nelson, a member of the CAPSA board, said they have church groups, different businesses, USU student organizations, and even family and friends who sign up to volunteer. “This fundraiser wouldn’t happen without volunteers. They’re all from different walks of life from this valley. It’s pretty incredible,” said CAPSA’s Community Outreach and Operation Director Michelle Merrill. Nelson said that while they love to have people support the Cache Valley Mall, people can also bring presents from elsewhere to have them wrapped. He added that every little bit helps this non-profit organization. 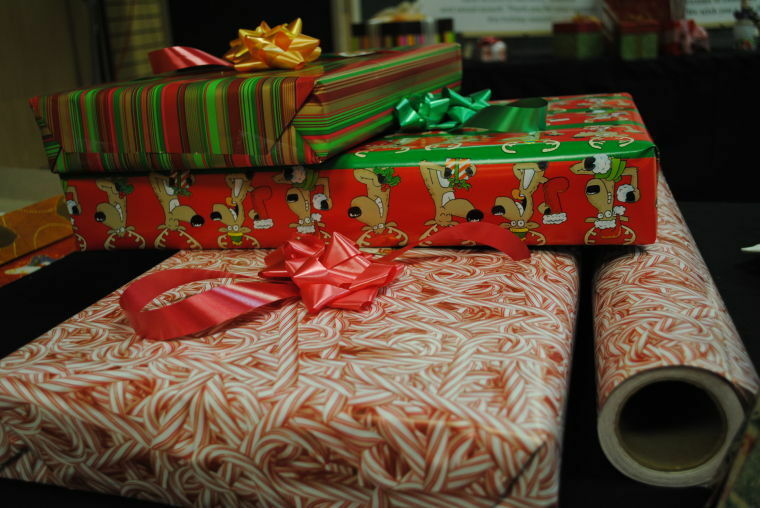 The CAPSA gift wrapping station will be open today until 9 pm and tomorrow from 10 am until 6 pm.